Emma Riley, HOP Network Coordinator, has been getting fit while doing good in the local community with GoodGym. GoodGym is a community of runners who run to help out community groups, local charities and isolated older people. Rather than wasting energy in a traditional gym, members spend their workouts digging, clearing, painting or whatever else we can do to help out. Emma said: “I’ve really enjoyed getting stuck in with GoodGym. I’m not the most confident of runners but running as part of a group has been very motivating, and the team are so encouraging. The group is welcoming to running newbies right through to marathon runners in the supportive and sociable group. To find out more about the runs you can read the weekly post-run reports, written by Liverpool GoodGym Trainer Char. 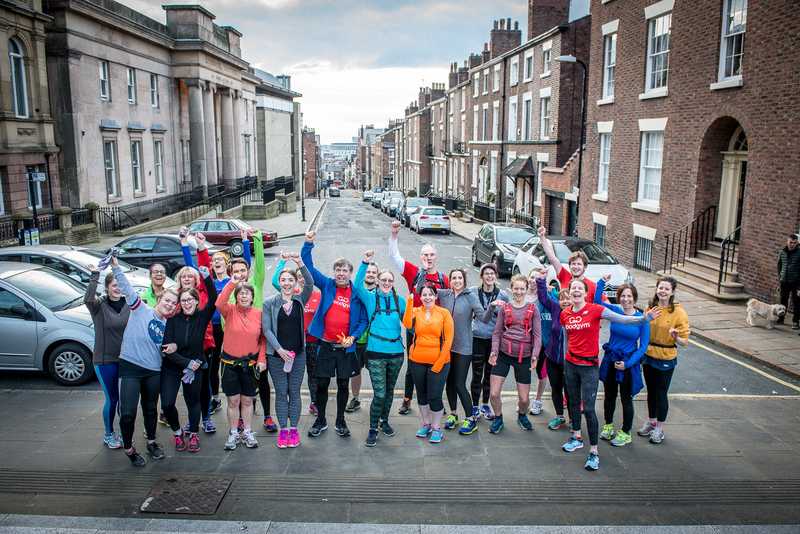 If you’d like to get involved with a group run, these go every Monday from Hope Street Hotel, setting-off at 18:30. Find out more and sign-up to the next run here. Need some people power? If you know of a community organisation or public space within 5km of Liverpool City Centre that could do with a helping hand, please get in touch with GoodGym Liverpool Trainer Char Binns on char@goodgym.org.